Sony has filed a patent application for "SmartWig", as companies continue the tousle to lead the way in wearable technology. It says the SmartWig can be worn "in addition to natural hair", and will be able to process data and communicate wirelessly with other external devices. As fun as it sounds, this signifies just how seriously these technology companies feel wearable technology is becoming. Companies like Sony don't invest this kind of money for fun, they do it for big bucks and I predict that 2014 will be the year that wearable technology goes from something people snigger at to something that becomes second nature at home and within the workplace. Small strides are already being made… how many of us will be unwrapping the hi-Fun hi-Call, Bluetooth Gloves from John Lewis on Christmas Day? Sony predicts that the SmartWig will have practical uses in business. For example, it could be used in presentations where a wearer can 'move to the next presentation slide or back to the preceding presentation slide by simply raising his/her eyebrows'. Also in the healthcare sector, collecting information such as temperature, pulse and blood pressure of the wearer and transmitting them to the server computer. However, the question being asked by IT professionals in 2014 is how workplace networks will cope with consumer-driven wearable gadgets. If smart wigs, watches, glasses and gloves become as commonplace as an iPhone or HTC are today, the impact on corporate IT must not be underestimated. These devices need to pair with an "original" device. They don't replace phones, tablets and computers; they are in addition. Smart wigs, shoes, handbags and many other accessories will multiply the number of devices accessing the network. For those who found BYOD a challenge, expect the wearable technology revolution to be like BYOD x 100. And then there are security considerations. 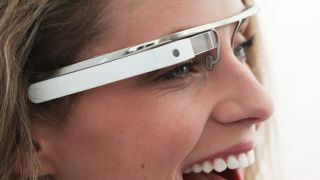 Google Glass enables the wearer to record everything that he/she sees. Similarly, smartwatches have cameras and recording facilities. Although this seems very 007, the reality is that discreetly transferring sensitive competitive information to a device outside the network could become as easy as a flick of the wrist or the scratch of an ear. A recent survey on behalf of Ipswitch asked IT professionals what their New Year Resolutions for IT network management will be for 2014. 36 percent said they wished for more time to develop BYOD policies and 31 percent wanted to focus on security policies. Prepare for an increased data flow: The flow of data through networks will become more complex. While many of the gadgets will access networks via Wi-Fi or Bluetooth, they will typically require connection to a laptop, computer or tablet for the purposes of syncing data, which could further slow down the network. Reactive, on the fly network monitoring and intrusion detection that is not backed by tailor-made policies and infrastructure will result in a big slowdown to company networks. To avoid capacity and security issues, organisations need to start preparing carefully for these scenarios in advance. Scale out or scale up. Create policies for usage: If a business is going to embrace wearable technology, and many would argue it is only a matter of time until businesses are forced to, it will require clear policies determining who is allowed to bring the equipment into the workplace and connect to the network. Review security: The two main ways wearables will impact the IT network are in the areas of access and endpoint security. Whereas many organisations find that per employee they have one to three devices accessing the network, in a matter of years this could rocket to 15 to 20 per employee. Enterprises need to prepare for the main modes of access being Wi-Fi or Bluetooth. In the case of Wi-Fi, careful attention needs to be paid to the infrastructure's ability to cope with the influx. From a security standpoint, gaining oversight and managing the data that goes through the network will be the biggest challenge. Firstly, determining that devices accessing the network or the information being transmitted are legitimate. Secondly, the wave of different devices seeking access will leave networks vulnerable to malicious attacks in the form of viruses and other cyber threats.